Figuring out which file storage and backup system to use for your business can be tricky because they are all a little bit different. Today, we'll outline 3 great options for you to choose from. Dropbox is ideal for syncing and sharing files on any device. The easy-to-navigate interface has helped the system become the most frequently used file sharing platform in the world. With its latest updates, it has also become one of the best cloud services for facilitating long-term online data backup. Dropbox lets you bring all your photos, docs, and videos anywhere and share them easily. Access any file you save to your Dropbox from all your computers, phone, tablet and the web. With Dropbox you’ll always have your important memories and work with you. Download the Dropbox desktop application to simplify file backup storage. Simply save all your documents, photos and videos in your Dropbox folder on your desktop for real-time backup. Dropbox makes it easy to share large files with anyone even if they don't have a Dropbox account. Lose your phone? No worries, Dropbox safely stores all your photos, documents, and videos. Simply login to Dropbox from any device to instantly access your files. To learn more about Dropbox or to download the app, visit: www.dropbox.com. Boost your producitivy with our free weekly organizational planner. Hightail combines file-syncing with document signing and delivery, and offers a vast array of options and features for free and paid accounts. If you're in a hurry and need to send a file quickly, turn to Hightail. We make it easier for your business to share files without changing how you usually work. Add the power of Hightail to your existing tools and work more effectively with clients, while enforcing sharing policies that keep your data safe. Hightail allows you to send files up to 10GB from your computer or mobile device. You can also view and sign documents and send them back. Not a fan of emailing presentation edits back and forth with teammates? With Hightail when you edit a file in a shared folder, your teammates will automatically view the changes. Hightail gives you unlimited file storage online and you can access your files on our desktop, phone, tablet, or even in Outlook. To learn more about Hightail or to download the app, visit: www.hightail.com. Google Drive bundles office suite and file-syncing services to create the best online collaborative platform you'll find. Some features of this free service include: local file-syncing and offline access to documents. Google also offers users 15 GB of free services and they can purchase more for a reasonable price. Your storage works with Drive, Gmail and Google Photos, so you can store files, save email attachments and back-up photos directly to Drive. You can also purchase a larger cloud storage plan if needed. Google Drive provides you with 15GB of free online storage. You can save photos, recordings, videos, documents - anything you want. You also get unrestricted acces to a complete office suite with cloud storage. Services include: word processing, spreadsheets and a presentation builder. Take a photo of documents such as letters, statements, receipts - and Google Drive will save them as PDFs. 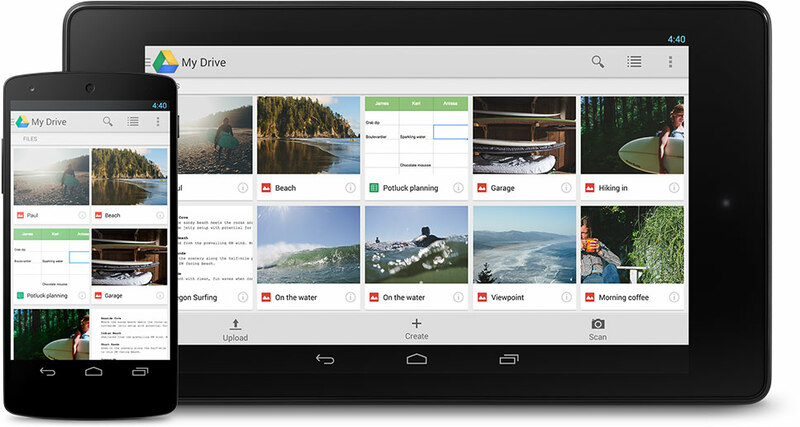 To learn more about Google Drive or to download the app, visit: www.google.com/drive/. Check out these three great file storage systems and choose the one that is the best fit for your business!